There is a new gallery at The Barlow in Sebastopol. That gallery is the Lori Austin Gallery and I have the honor of being included in a select group of artists opening the gallery. 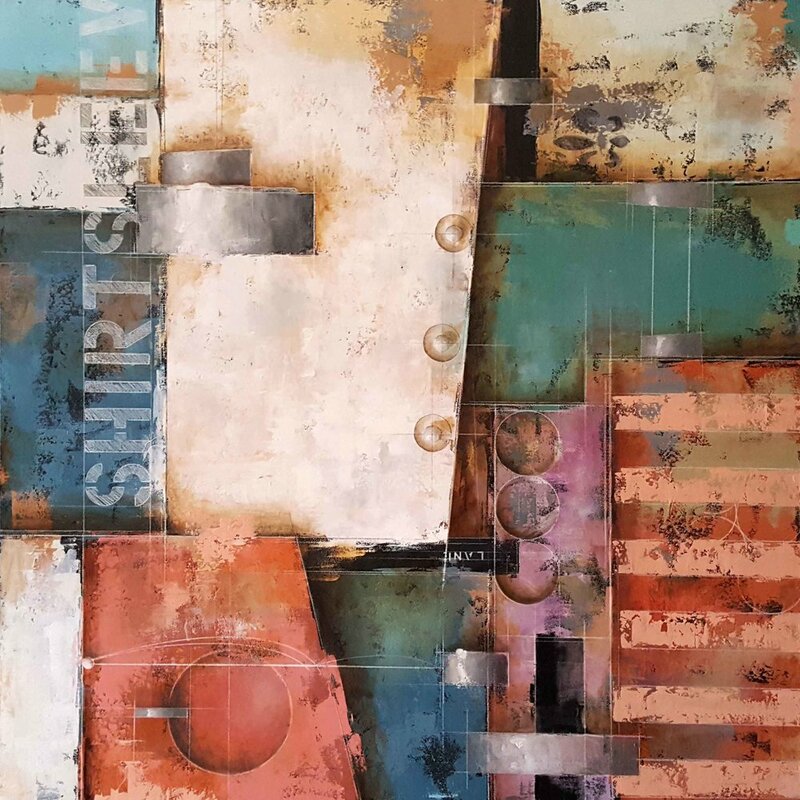 It’s an exciting time for my work and I will have some of my new pieces like Lascaux #2, Sitting in Shirtsleeves and Double Life (below) included. People involved in the local Sonoma County art scene and who remember snippets of my past work are in for a surprise with my new work. As has been the case for artists in the past, my work has matured to encompass a lot more than the mechanical appurtenances of it’s infancy. Although there is a lot more room to grow, the path of development is much clearer now than it was when I started and I can envision even more growth as I continue to push past what my initial artistic skill set afforded me. Talent only goes so far. Now it’s up to hard work and execution as I develop my artistic skill, use of the oil medium, knowledge of my subject matter and new venues to show my work to see how far it can go. BTW - an artist friend sent me this photo today of my work in the latest SF Chronicle. Artist’s spend their whole lives trying to find that recognizable ‘something’ that establishes a market presence … it’s great when that actually starts to happen and I’m glad to have the opportunity to show my work at Lori Austin Gallery and The Barlow in Sebastopol.